William Nsubuga moved to the United States as a political refugee after surviving the Rwandan genocide. In 1997, he attended SIFAT’s community development training, and although he lived in Birmingham for the next 10 years, he never forgot what he learned at SIFAT and never lost his desire to help HIV/AIDS orphans in Africa. In 2007, William completed SIFAT training again in preparation for his move to Uganda to start an orphanage to care for these children. In 2008, William founded Agape Total Child Care Center in Lugazi, Uganda. He opened the doors to children aged 6 to 12 who lost one or both parents to HIV/AIDS and had no home or family member with whom to live. William envisioned Agape being a Christian home for these children, a place where they could be safe, feel loved, attend school and receive medical attention when needed. He eventually wanted to open a Christian school for both the residents of Agape and local students. Tuition would be charged at the school for students from the community. These funds would help the orphanage become self-sustaining. In addition to limited living space in Lugazi, nightclubs and bars became their next door neighbors. This environment was not conducive to studying, sleeping or the safety of the children. William was able to buy land in nearby Mukono, and in 2011, the first SIFAT mission team arrived to begin working on facilities for the new Agape child-care center for 65 orphans. The new Agaoe Total Child Care Center will include an administration building, dormitories, a chapel, housing for teachers and a Christian secondary school. In 2012-2013, SIFAT teams will be building an orphanage and Christian school in Mukono, about an hour outside Kampala, to replace and enlarge the Agape Child Care Center in Lugazi. 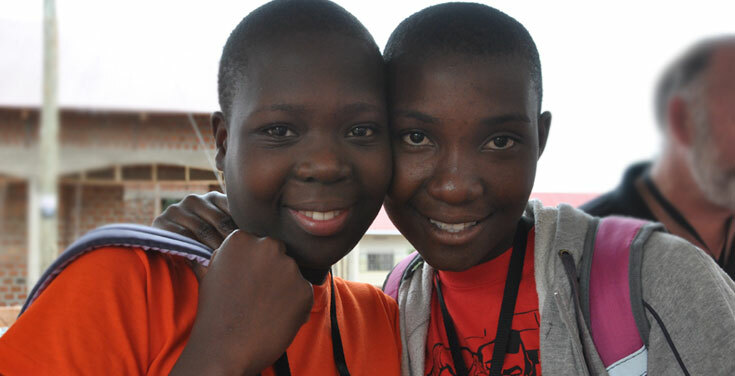 The center, owned and operated by SIFAT alumnus William Nsubuga, will be home to HIV/Aids orphans, and the school will provide a Christian education for up to 250 children living in the outlying area. Construction/VBS team are needed for this project. 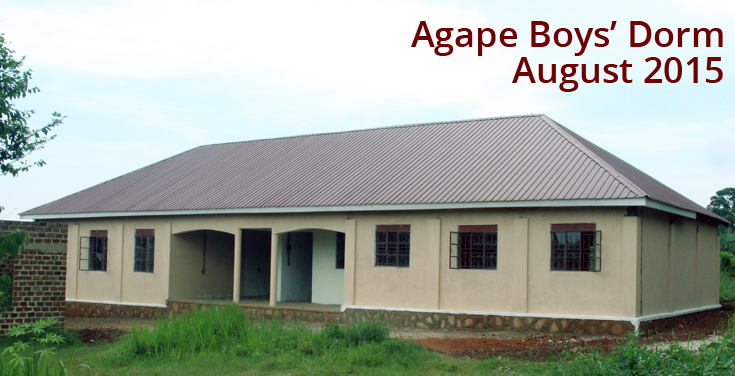 The 45 children now living at Agape moved to its new Mukono facility at the end of January and the new Christian high-school at the Agape Total Child Care Center opened on February 15,2012. It is beautiful. The dormitories have not been built, but William Nsubaga was forced by the Ministry of Health to move the children from the Lugazi location because the building did not meet requirements for that number of children living together. The children were moved temporarily into a part of the school building. However, many of the Agape children are teenagers and as there was no secondary school nearby and transportation was not available for the long commute, it was necessary to open the high-school right away so they would not miss an entire semester. The Ministry of Education has given William one month to bring the school into compliance with Ugandan regulations. An appeal is now underway to raise funds for desks, chairs and lab equipment to finish the school and meet government requirements. 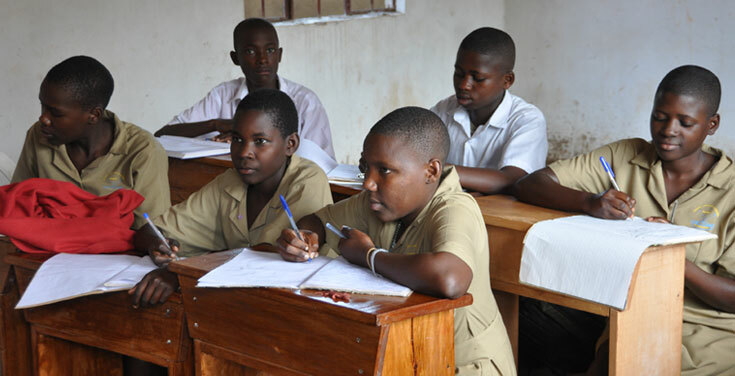 The school has thirteen teachers and will offer all ten subjects taught in Ugandan secondary schools. At the present time, the Agape older resident teens and 30 students from outside Agape have signed up to attend. SIFAT teams will travel to Uganda this summer to build dormitories and a multi-purpose building to serve as dining hall, chapel and a place for the students to study. This will be a huge challenge for these teams to complete the structures in one month, as time is of the essence to provide a proper place in which the children will live. To support Agape, you can give a one-time donation or commit to support Agape monthly. To donate to Agape online, go to our donate page and click the donate button (remember to designate your gift ACA). To sign up for automatic withdrawal from your checking account, fill out the Convenient Contributor Plan form, mark ACA for the fund description and mail it with a voided check to SIFAT. Click the button below to read about Agape Christian Academy, its needs and how you can help! Lodging: At the Ankrah Foundation Hotel in Mukono in single rooms with private baths. Meals: Breakfast and dinner at hotel, box lunch on-site packed by hotel. Construction Project Cost: $2,500 or $100 per person, whichever is greater. Medical teams must bring all medications to be used on trip. Visa: At the airport in Kampala. You must fill out visa application and pay $50 cash. Visa cost not included in in-country funds.